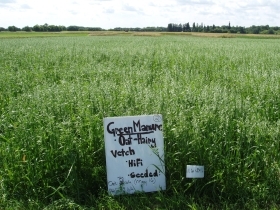 The oat / hairy vetch green manure crop. 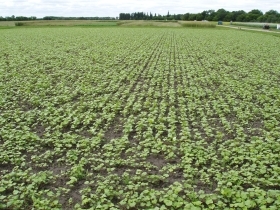 Flax was reseeded to buckwheat due to weeds. 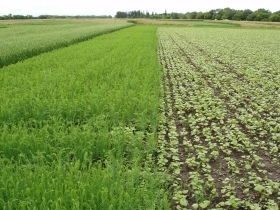 A flax check strip was left when the area was reseeded. 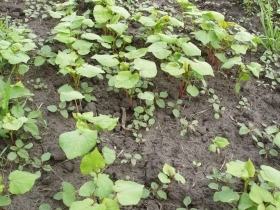 Buckwheat plants were taller than redroot pigweed early in the season. Buckwheat was very competitive with weeds. 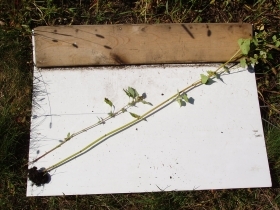 Shown above are a redroot pigweed plant (left) and a buckwheat plant (right) at the end of the season. 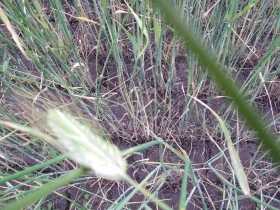 Fall rye effectively suppressed weeds. 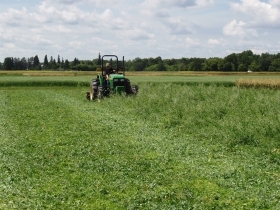 The oat/pea green manure was terminated by rolling in late July. 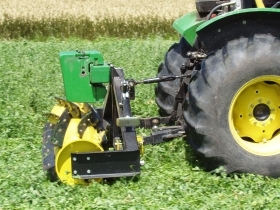 The blade roller that was used to terminate the green manures. 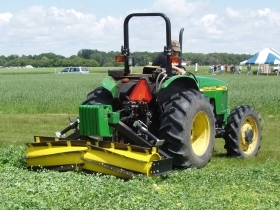 The blade roller at work. 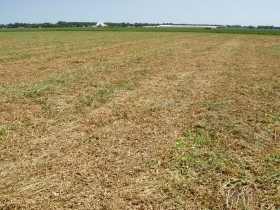 The oat/pea green manure terminated by rolling. 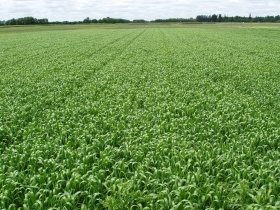 Organic spring wheat at the flagleaf stage. 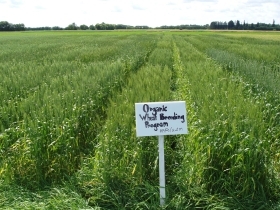 An F6 yield trial in the organic wheat breeding program. 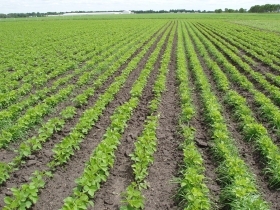 Organic soybeans, with fall rye seeded within the rows at right. 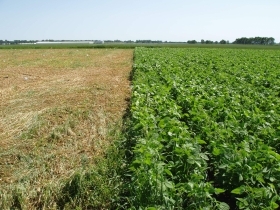 Terminated oat/pea green manure (left) and organic soybeans (right). This page created September 2007.